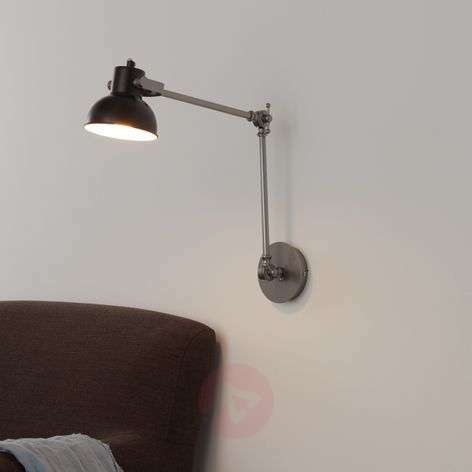 The wall light Crunch is an especially exceptional wall light. Its design is a harmonious combination of modern and industrial elements. 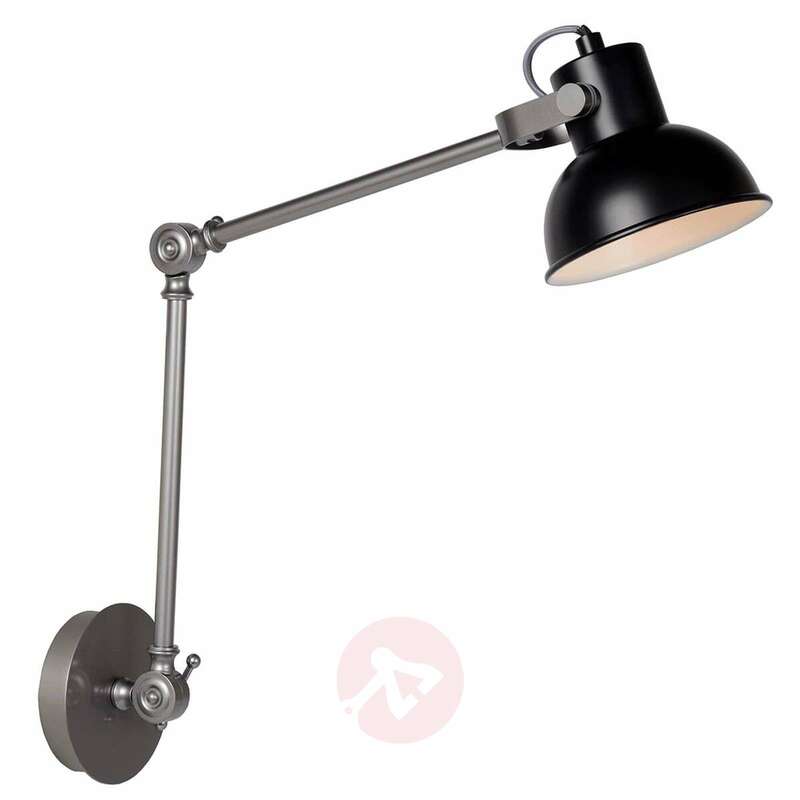 The round wall mount holds the frame of the light that is equipped with prominent adjusting screws. The angles of the two parts of the wall light Crunch's frame can be adjusted individually. The prominent lampshade in black can also be adjusted. The wall light Crunch can thus be adapted to the conditions at hand. Is the switch on the lamp? Thank you for your enquiry. Kindly note that the light does not have an integrated switch. It will be hardwired hence an external wall switch will be required for operation.